Quality - Whether it's 250 postcards or 20,000 brochures, we constantly strive to give you nothing but the highest quality printing on all your projects. Service - Every step of the way, you will always receive the highest level of personal service on all of your jobs. Communication and proper planning are keys to satisfied customers and successful projects. We are always happy to discuss your projects with you before you begin. Value - Our goal is to provide you with unmatched quality and service at the lowest price possible. No one combines quality, service, fast turnaround times, and competitive prices to give you the best value in printing quite like we do. Design - If you are searching for a new look, or even if you are just short on time, let our creative designers breathe fresh life into your next project. 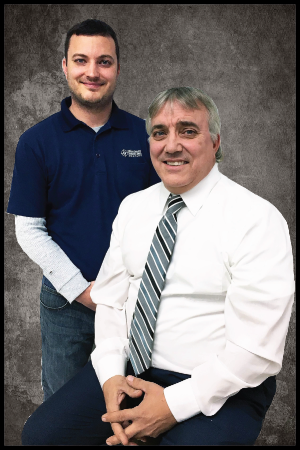 Wortman Printing Company, started by Del Wortman, began business in October 1990 with business concentrating in commercial offset printing. This adventure began at Del’s residence, located at 409 N. Henrietta in Effingham, IL. Del began the business with one Macintosh SE Computer, one small duplicator press, an old lever cutter, and a tabletop folder. He was the only employee and handled all phases of the business. Shortly thereafter, the business quickly outgrew its 15' x 20' facility. In 1991, Wortman Printing expanded and moved to a newer location. This location had approximately 1600-sq. ft. and allowed the business to expand both in equipment and staff. During this time the business began to capture a good portion of the local Effingham area customer base and continued its growth. In 1996, Wortman Printing Company moved to its current 7,245-sq. ft. facility at 1713 South Banker Street. Today, Wortman Printing offers digital, direct imaging and traditional offset printing, catering to small, medium, and large businesses in the Effingham area. The company's goal is to offer the highest quality printing with the fastest turnaround time.